Power points are in almost every room and are at the perfect level for children to access. To prevent sticks, straws and who knows what else going into the points use protective plates. 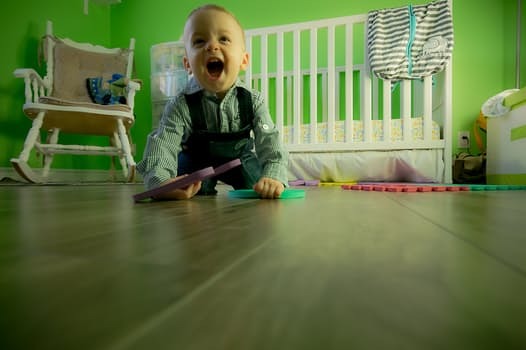 Living in the 21st century means that our homes are filled with electrical devices and therefore filled with potential dangers for children. Understandably, we wouldn’t be without some of our appliances and electronics but it is important that as parents we promote safety to our children around these items. Preventing accidents involving electricity is important and should be a top priority. First off all we must inspect our home carefully. Walk through every room and identify things that may put our children at risk. Remember, electrical items with their buttons and switches are intriguing to small children and it is tempting for them to want to get their sticky little fingers into them. Power boxes and electrical access boxes should always remain locked. Even if at a reasonable height, an inquisitive child will often find chairs or other objects to climb onto. Keys should be stored well away from the locked boxes. It can be as simple as having conversations with our children about electrical safety. This is something that won’t come instinctively to children so it’s up to us to teach them that electrical goods and power points are not toys. Don’t forget that leading by example is essential, it’s amazing how much information kids absorb by simply watching. Power points are in almost every room and are at the perfect level for children to access. To prevent sticks, straws and who knows what else going into the points use protective plates. Protective plates are a cheap and easy way to prevent accidents involving power points. Modern power points come complete with safety shutters to hinder the ingress of objects other than plugs. When you feel that your child is at a suitable age, show them how to safely plug in and remove cords from power points. Don’t forget to turn off the switch first! Point out that it is the plug that should be held when removing it from the wall rather than the cord. Water and electricity are not a great combination. Children should be taught from an early age that any electronic items, switches, and outlets should not come in contact with water. Pay particular attention to children in the bathroom and when your children are coming inside from swimming or the rain. Touching electrical appliances when wet is a real danger. Also ensure your children haven’t got drinks etc when near computers or gaming consoles. Kids love flying kites however always teach them how power reaches your home and how getting in contact with power lines can be very harmful. Encourage kite flying at the park, well away from power lines! Always replace old, tired and faulty power cords, plugs and appliances. Check your cords for cracking or fraying and for any exposure of internal wires. Replacing these are a small price to pay to ensure the safety of your family. If you aren’t using it then unplug it. This includes irons, kitchen appliances, phone chargers, computers, hair dryers etc. Remember some things will retain their heat well after they are switched off and unplugged. Let your children know that light bulbs retain heat too.